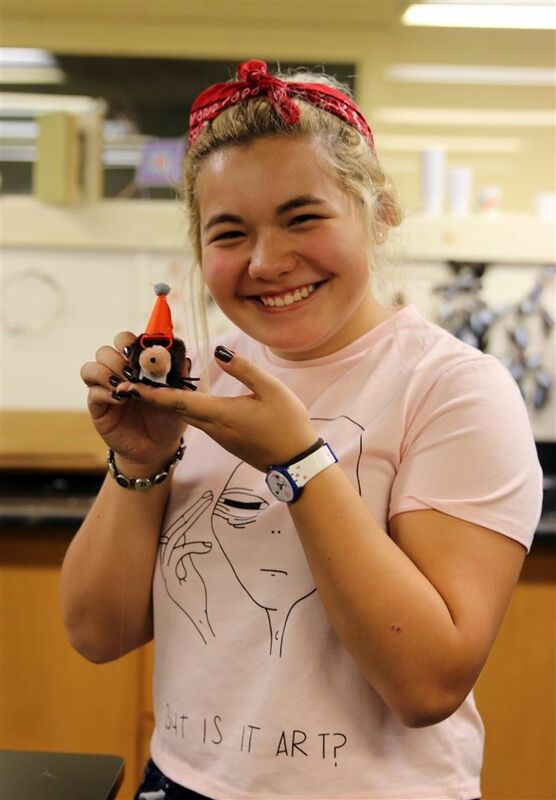 Emma Willard School chemistry students and enthusiasts celebrated Mole Day on Tuesday, October 23. This day, celebrated annually on between 6:02 a.m. and 6:02 p.m. on the 23rd, commemorates Avogadro's Number (6.02 x 1023), a basic measuring unit in chemistry. Science Instructor Alexandra Grimm, Ph.D. credits her high school chemistry teacher with inspiring her to pursue an education in chemistry with her enthusiastic Mole Day celebrations. Alexandra knew she wanted to bring the tradition to Emma and teamed up with fellow science instructor Megan Labbate to plan activities that would inspire students to learn about and celebrate chemistry. 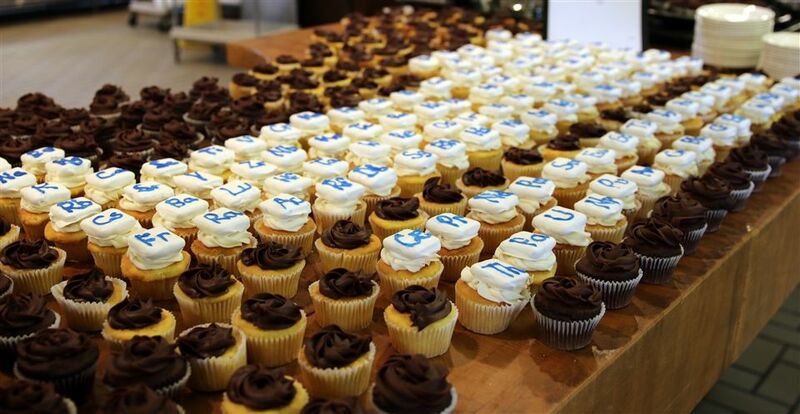 They hosted mole crafts in the Maker Space, held a mole hunt on campus, and created an impressive periodic table of cupcakes for the community to enjoy at lunch. The response from students and adults alike was extremely positive. Ms. Grimm says that seeing students enjoying the different activities was her favorite part of the day, and that it was nice to show them that math wasn’t the only subject with a cool holiday! We look forward to celebrating Mole Day again next October. In the meantime, six moles remain unaccounted for from the mole hunt!